There is a species of worm in which the females only produce males for their sperm, scientists have discovered. 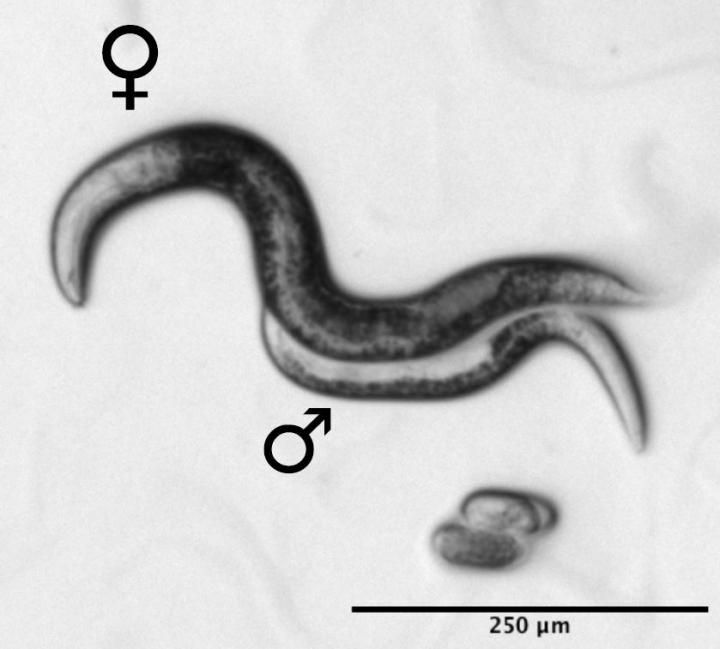 The reproductive strategy, thought to be unique to nematodes, ensures no genetic material from males ever enters the female population and keeps the population stable. Researchers led by Marie Delattre, from the l’ENS de Lyon in France, were building on observations taken by biologist Victor Nigon 70 years earlier. He had noticed that one species of nematode—Mesorhabditis belari—had a very low population of males and that female embryos were clones of their mothers. Delattre and her team have now carried out genetic analysis of the nematodes to find out exactly what is going on. Their findings, published in the journal Science, revealed their bizarre reproduction strategy. The team found that females need the male sperm to activate their eggs—but most of the time no genetic material is passed on, meaning all the females were clones. However, nine percent of the time, a male was produced. When genetic material from a male was used after the egg was fertilized, a male was always produced. These males could only reproduce with their female siblings and could only pass on their genetic material to sons—meaning their DNA would never enter the female gene pool. The figure of nine percent, they say, was analyzed using game theory—a mathematical model often used in social sciences. Researchers found the nematode system allowed the species to maintain a stable population. 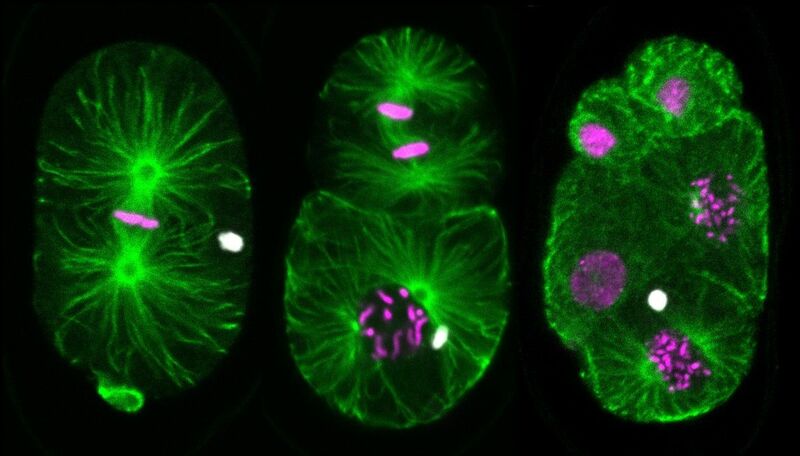 How such an unusual reproductive system evolved is now being investigated. “One hypothesis we have is that the ancestral species, which was a sexual species (that we know), maybe had a strong fertilization towards Y bearing sperm…but it is bad for a species to have too many males, so maybe this system emerged as an anti-drive system: Lets get rid of the male DNA, so that we have more females,” Delattre said.